Last week I had a wonderful time at the Eisenberg Institute for Historical Studies at the University of Michigan in Ann Arbor, and came away with a host of new ideas and fresh lines of inquiry. One of these concerns the role of the telegraph in modern war. 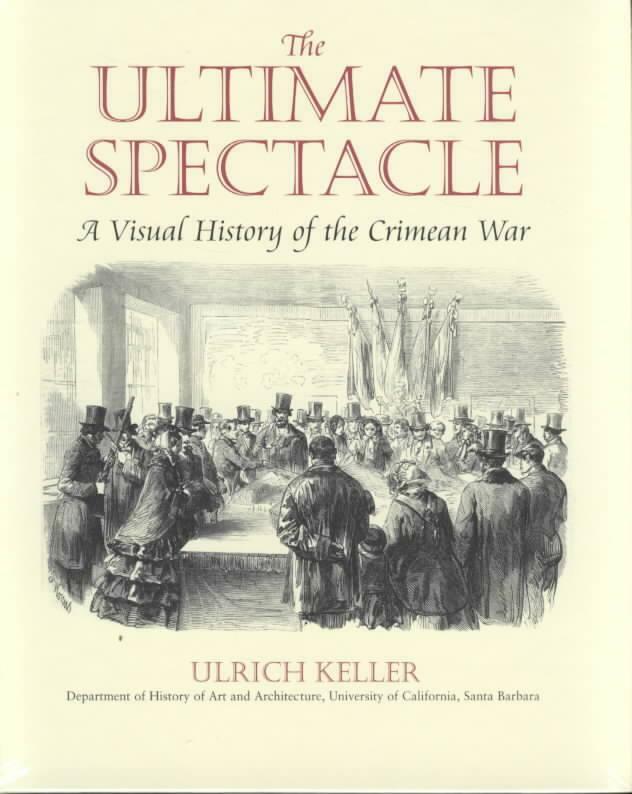 When I was doing my first researches I discovered several writers emphasised its importance in reporting the Crimean War (1853-1856), a campaign that saw the first appearance of the war correspondent in the person of W.H. 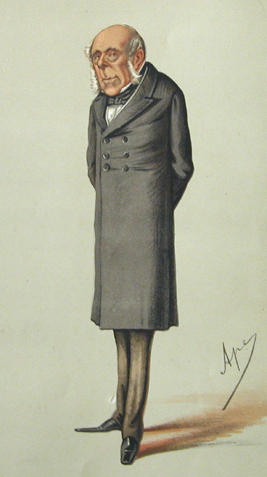 Russell, whose despatches for the Times won him a central place in both political and media history. ‘Throughout the campaign the domestic front continuously inscribed itself on the military front, and vice versa; nothing could happen in one sphere without immediate repercussions in the other. It was of course the steamship, the telegraph and the news-press with its swift coverage of events, which created the interdependence of the two arenas. It may be true to say, as Andrew Lambert wrote for the BBC, that ‘the electric telegraph enabled news to travel across the continent in hours, not weeks’ so that during the Crimea ‘war became much more immediate – a massive leap forward on the way to our age of instant global coverage by satellite.’ But beyond Europe reporting was still agonisingly slow. In Australia, as Peter Putnis and Sarah Ailwood have shown, ‘just when news from Europe was most eagerly wanted’, steamship services from Britain were diverted to supply troop ships for the war, and the replacement sailing packets were so much slower and less reliable that colonial insecurities were heightened. And even within Europe Lambert’s ‘immediacy’ was produced by terse and not always reliable telegraphic despatches that editors combined with long-form reports from their correspondents and others in the field. 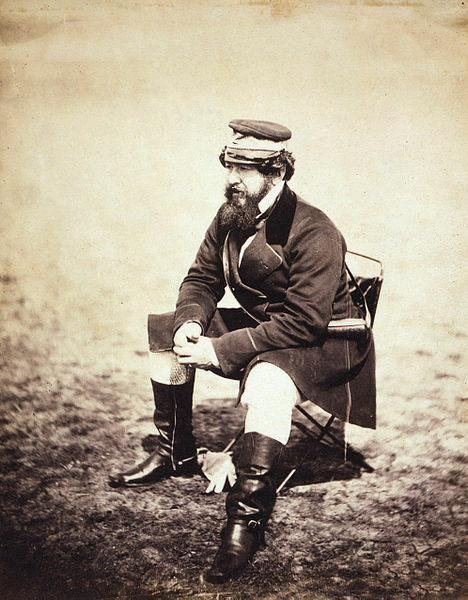 The most vivid images of the war were produced by Russell’s despatches and by Roger Fenton‘s striking photographs. For this reason, until now I had thought of the American Civil War (1861-1865) as ‘the first telegraph war‘, since the telegraph was demonstrably important both for the conduct of the war (which included military communications and, since cables were intercepted, military intelligence) and for its more detailed reporting. 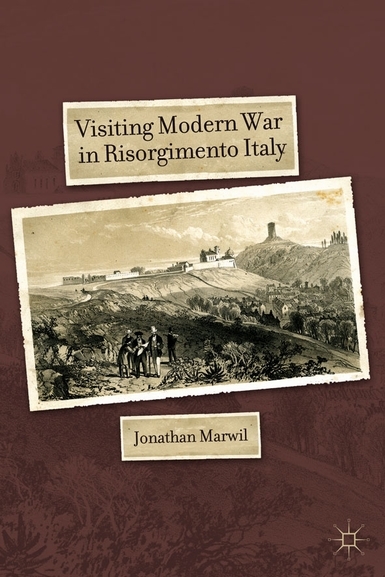 The Italian War was a war of truly awful proportions: you can find a stark description of ‘combat photography’ during the war, together with some examples, at Bill Johnson‘s Hold History in Your Hand here. 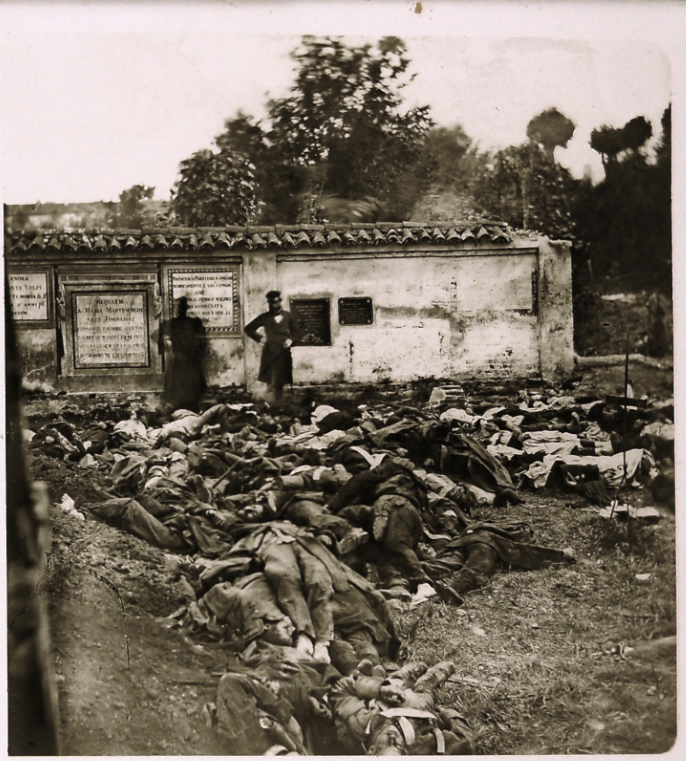 At the battle of Solferino some 40,000 were killed or injured in 15 hours, and the sight of the unrelieved suffering prompted a Swiss observer, Henry Dunant, to memorialise the scene in A memory of Solferino. Within months of its publication in 1862 a committee started work on Dunant’s vision of an impartial relief society that would provide aid to those wounded in time of war: this would eventually become the International Committee of the Red Cross. ‘… revolting as war always is, it never presented itself in a form more repulsive than that which it now wears in the Italian Peninsula… War also seems to have become more hideous from its closer contact with the greatest triumphs of our modern civilization. 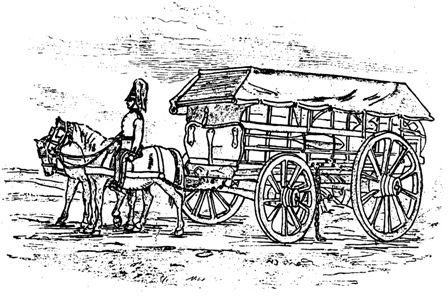 The butchery of Casteggio was fed by a succession of railway trains, which disgorged their cargoes close to the human shambles, just as they carry the cattle, the sheep, and the calves which feed the daily hunger of London. This entry was posted in humanitarianism, information, media and tagged Crimea, Henry Dunant, Jonathan Marwil, telegraph, W.H. Russell by Derek Gregory. Bookmark the permalink.